The excellent WattsUpWithThat? 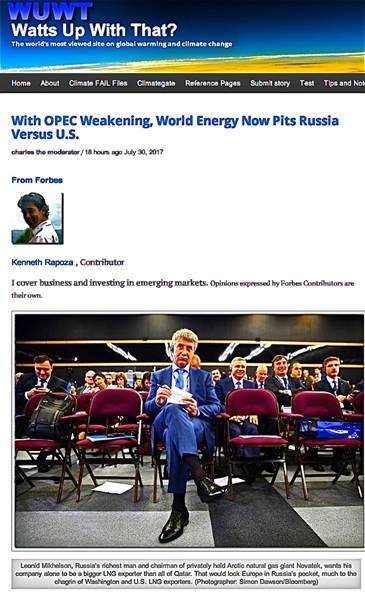 article presenting the energy challenges pitting U.S. and Russia’s global dominance in natural gas production thus setting the stage for international business export customer competition also exposes another global energy dilemma brought about by the ill-considered, ludicrous and scientifically unjustified climate alarmist policies of the EU. Europe’s dominating and impractical green energy policies combined with their anti-nuclear, anti-coal (even though coal continues to dominate electrical energy production because of renewable energy failures), anti-shale, etc. 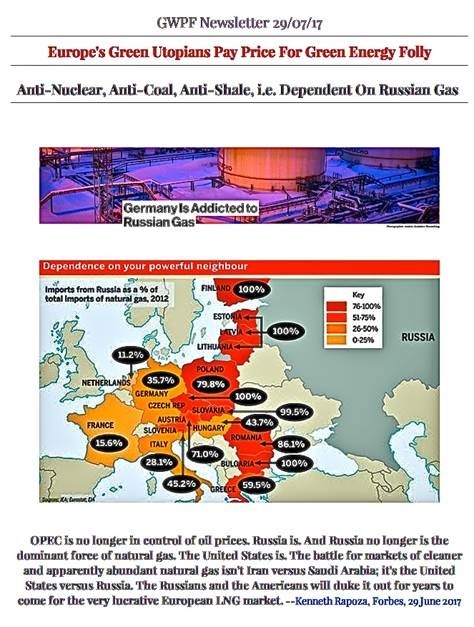 positions have resulted in the EU and its economy becoming a prisoner of and incredibly dependent upon foreign energy providers and unable to establish control of their own energy and economic destiny. 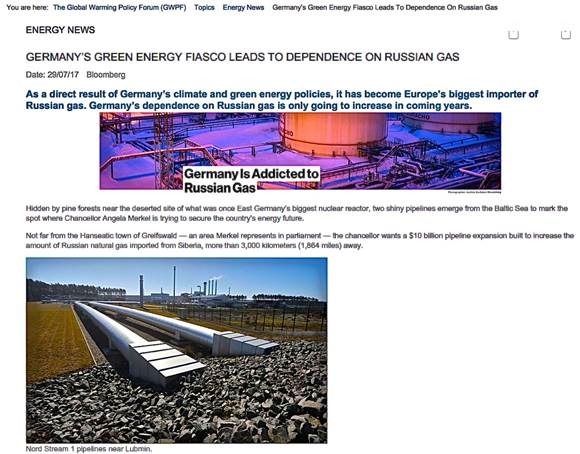 At the present time Germany, the economic driving engine of the EU, has become dependent on Russian supplied natural gas and this dependence is set to grow even more so in the future. Maue: new climate hiatus or accelerated warming trend coming?